Full A-line tulle gown over a layer of organza. 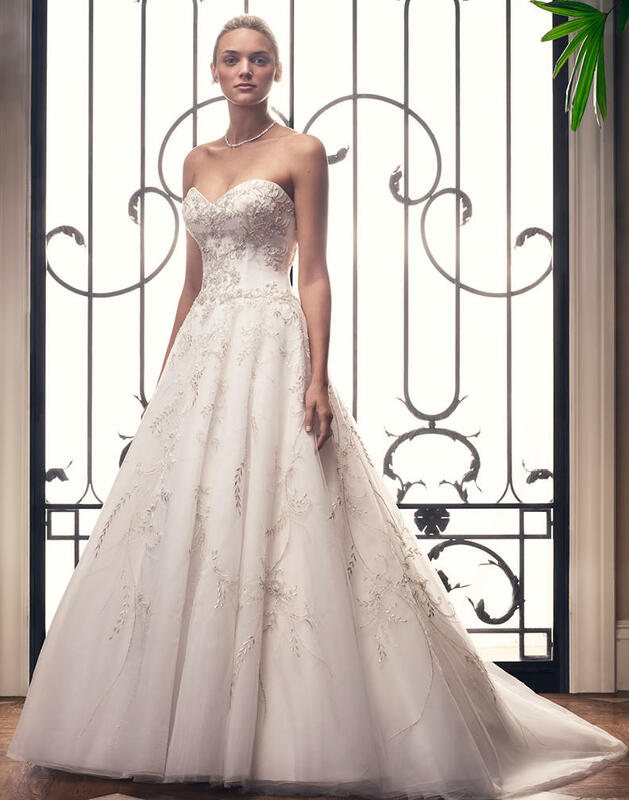 Gown features a sweetheart neckline and light beading a embroidery that decorates the bodice and down the skirt. The silver embroidery has a delicate leafy pattern.